I have a day off today, so I might get a chance to get my illustration done for the LOTR Community Art Challenge, I need to do some samples for my upcoming lecture, and I want to rewrite the drabble I was discussing yesterday and see if I can be happier with it. 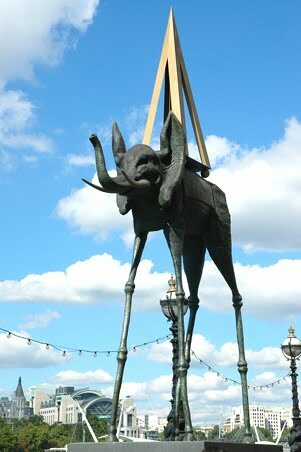 Dali did a wonderful Elephant sculpture in London. I just want to dive into some writing projects today, and I'm not really in the mood to bead, but I guess I really have to, or at least I have to get my thoughts in order. I did buy a new NookBook yesterday on torch fireing enamel techniques and I'm anxious to crack that one open and start reading, but I'm totally wrapped up in "Lionheart" by Sharon Kay Penman, a recommendation of a friend that is well worth while. I only get an hour a day to read, so books are much slower for me than they used to be when I could bury myself in pages for hours at a stretch. I miss those days. Current Music: Alan Hovhaness - "Spirit of Trees"
Thanks, hun. 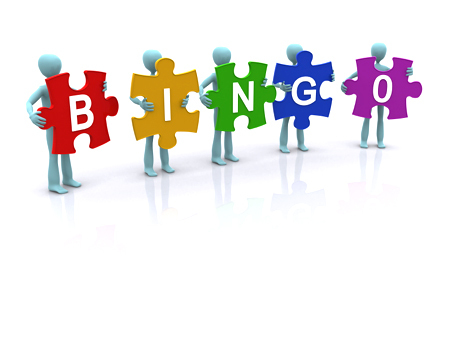 We'll see how well I did at the end of it :-) Enjoy your special day today! For B2MEM, I think there's a set of drabble prompts--would be fun and not too time consuming. I know what you mean, March will be crazy for me too! I love Dali and I grew up in London, but I never saw that sculpture - how long has it been there? I must go and see it next time I am there :D Thanks for posting it. I really wish I knew. It is super kewl, isn't it? I wanted an elephant pic for my blog today because I feel as overloaded as an elephant carrying a full load just now, but when I saw this pic, I just had to post it. It was labelled as being a Salvadore Dali metal elephant sculpture in London. It's on the South Bank if that's a help. It does help - I rarely go to the South Bank. Londoners from the north of the river tend not to. I will have to check it out.